Does Cutler deserve to be hated this much? In this episode, we talk the Chicago Bears ugly loss to the Detroit Lions, the Blackhawks opening a can of whoopass on the Circus Trip, and the Bulls playing down to their competition. We also do a quick bit about the Cubs and White Sox. 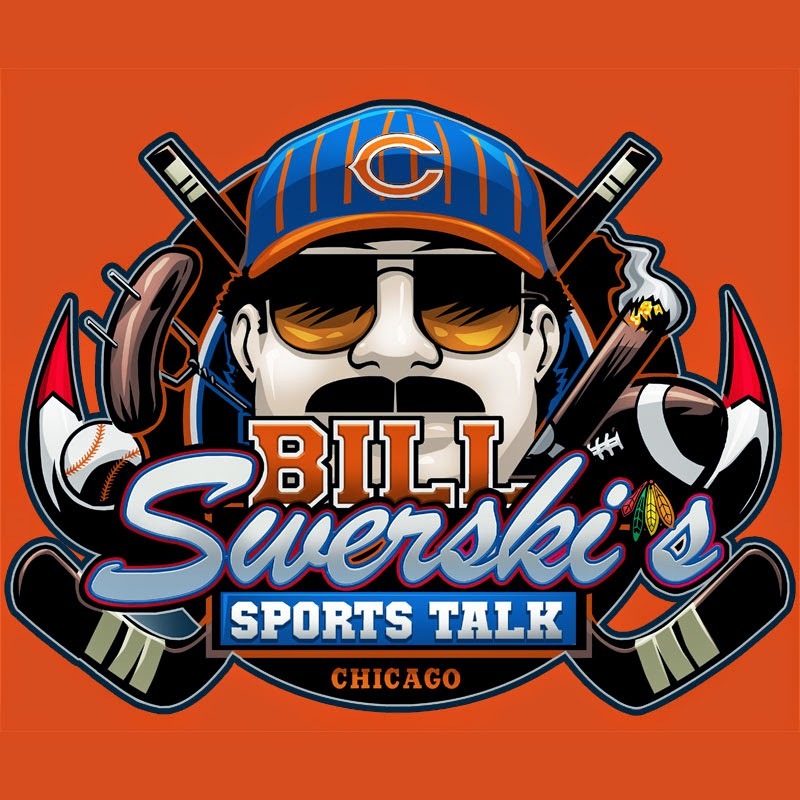 All of this and more on this episode of Bill Swerskis Sports Talk Chicago. In this episode, we talk the big Chicago Bears victory over Lovie Smith and the Tampa Bay Buccaneers. What was good? Bad? Ugly? We break it all down. 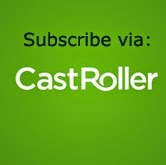 In this episode, we talk with Teuvo Teravainen and Mark McNeill of the Blackhawks/IceHogs. We also break down the start of the Chicago Bulls and Chicago Blackhawks circus trip. Finally we talk beginnings of Cubs and White Sox hot stove season. 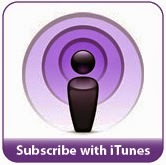 In this episode, we talk with Lester of WindyCityGridiron.com about the Bears big victory against the Minnesota Vikings. While this is a Bears-only episode, on Wednesday, we will post an episode dedicated to the rest of our hometown teams: Bulls, Blackhawks, Cubs and Sox. The Cubs have announced they have acquired infielder Tommy La Stella from the Braves for right-hander Arodys Vizcaino. The two teams also swapped international bonus slots: the Cubs receiving the Braves’ number four international signing bonus slot in exchange for their slot numbers two, three and four. MLB.com’s Mark Bowman tweets the Braves will net $830K in swapping the bonus slots. La Stella made his MLB debut for the Braves in 2014 and slashed .251/.328/.317 in 319 plate appearances. La Stella, who will turn 26 in January, led all National League rookies with his .328 OBP and 36 walks. Vizcaino, who the Cubs acquired two years ago from the Braves in the Paul Maholm trade, only made five appearances during his Chicago career, all this past September (three earned runs over five innings), as he recovered from Tommy John surgery. I know, I know. It's the cool thing to do. Let's all hate Jay Cutler. He's the worst. He's a mustache-less Hitler. If Satan and Bin Laden had a child, it would be Jay Cutler. He makes you want to drink. I get it. But let's move past the hurt for a quick second and look at his statistics. 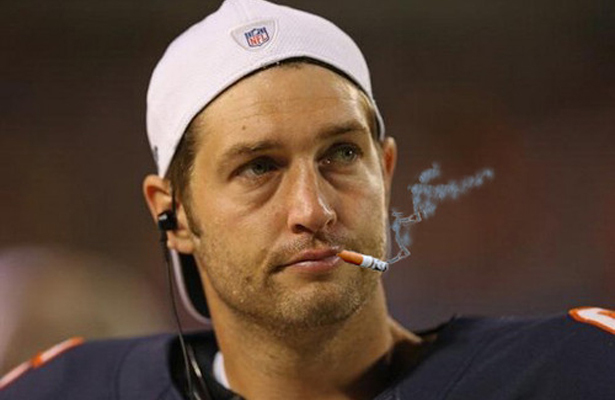 Jay Cutler is on pace to have 4200 passing yards and 32 TDs and a 92.8 QB rating. Let's just put that into a quick perspective. If he indeed hits these projections, he will surpass the ALL-TIME Chicago Bears single season passing yards records by over 500 yards (current record 3,666 yards by Jay Cutler in 2009). He will also surpass the ALL-TIME single season passing touchdown record for the Bears (29 by Kramer in 1995). While Peyton Manning and Drew Brees may scoff at these numbers, this would easily be the greatest single season by a Bears quarterback EVER. So we've established that Cutler is on pace to have the greatest QB season in Bears history. He is also on par with several of the other bigger QB names in the NFL for this season. The differences mostly come down to wins and losses and expectations for the season. After last season, the Chicago Bears were a top 5 offense amassing nearly 400 yards per game and scoring almost 28 points per game. Coming into this season, Brian Billick proclaimed Cutler as his favorite for MVP. With a second year in the same offense, was that out of the question? However the Bears are 3-6, can't win at home, and aren't even scoring 22 points per game. With all of this in mind, does Cutler deserve as much of the blame and hatred he has gotten this season? After that horrible, miserable, rotten Bears game, we commiserate about it and add fuel to the fire. We also talk Blackhawks and IceHogs and interview IceHogs defenseman Klas Dahlbeck. Cubs hire Joe Maddon and Bulls start the season. We have our in-depth analysis of the Cubs signing of Joe Maddon and an off-season breakdown. We also have the guys from Bawl! on the show to discuss the Bulls season beginning.